Devotees and residents of Neeraviyadi temple in Mullaitivu accused police of partiality over the occupation of the temple by a Buddhist monk. 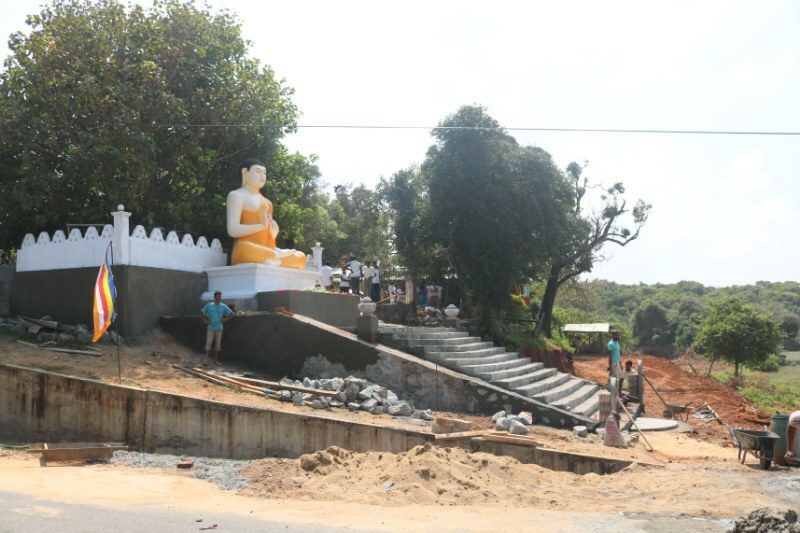 The Pillaiyar temple's land has been occupied by the monk, who built a large Buddhist statue on it, despite residents and temple administration filing a case at Mullaitivu police station. Residents had previously reported the monk had changed the temple's name to 'Kanadevi Thevalayam', and said the police did nothing despite the complaint filed. However, residents pointed out that the police were swift to act when the monk has accused residents of damaging reported archaeological signs of the new Buddhist site, with the case brought to court promptly.